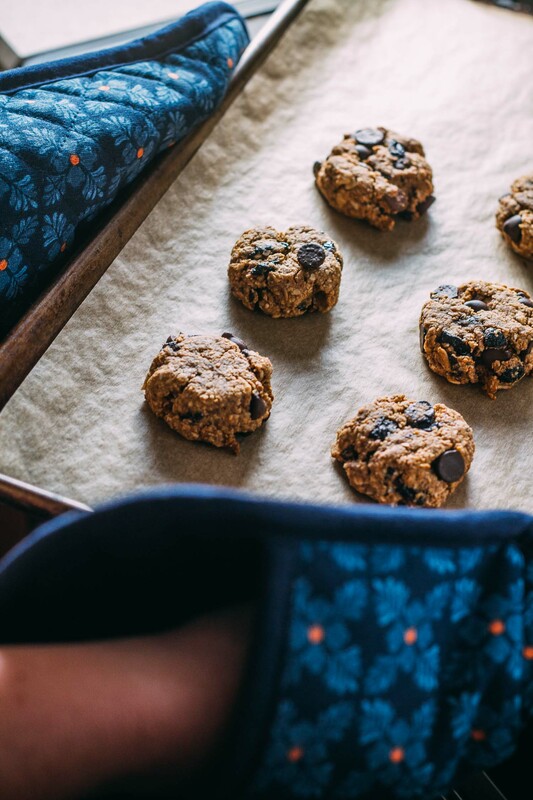 Oatmeal Berry Chocolate Chip Cookies may be the answer to your prayers. They’re sweet, but not too sweet, chewy, crunchy, melty, gluten-free, oil-free and require no dairy! You can use whatever nut butter you prefer and the berry, cherry or raisin option is your call too. The bottom line is that it’s YOUR cookie; play with the add-ins to customize to your delight! What’s better than a tasty homemade cookie recipe that you can make entirely your own? 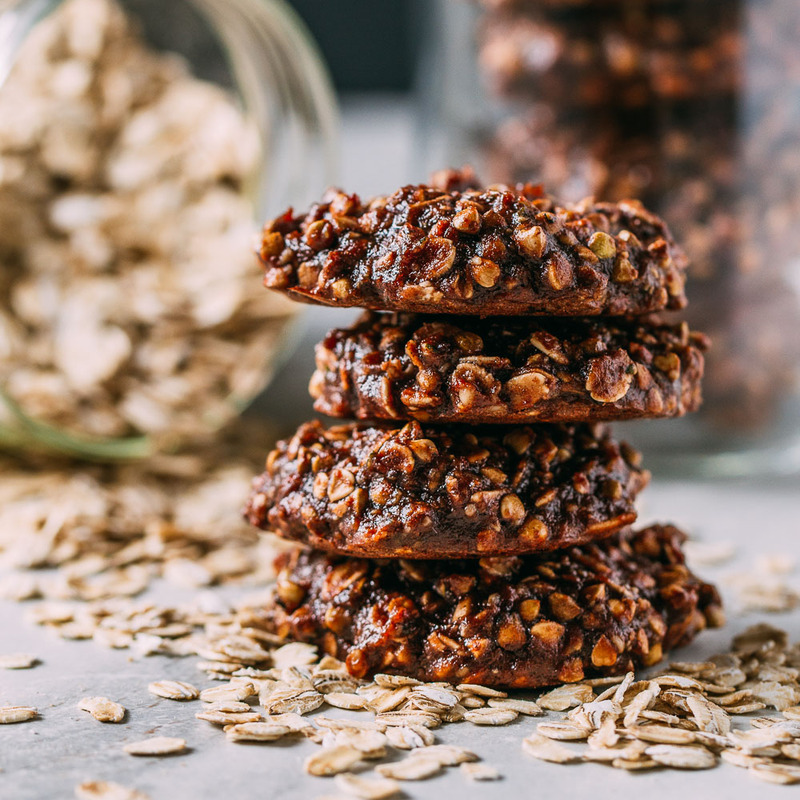 A delicious and nutritious homemade cookie recipe that is EASY to make, that’s what! 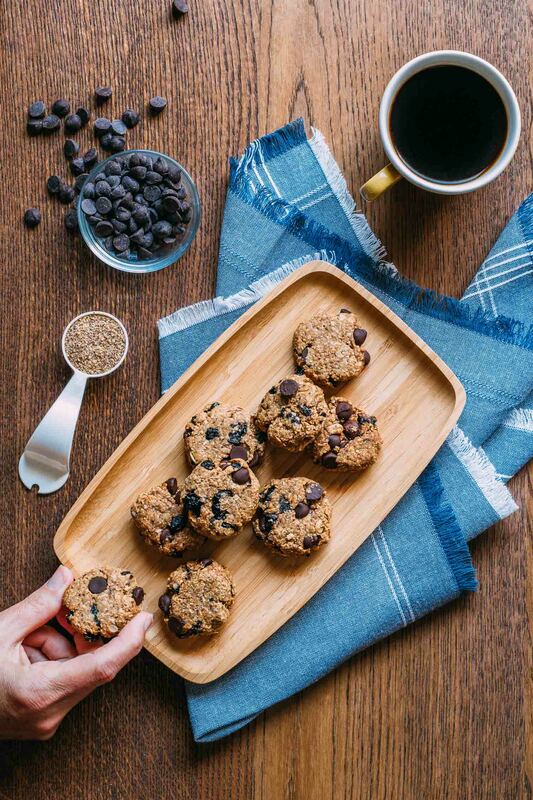 Oatmeal Berry Chocolate Chip Cookies are a healthier choice when it comes to those times when you’re craving something sweet. In this recipe, I use a combo of maple syrup and coconut sugar to impart a little sweetness depth. Maple syrup is a sweetener from tree sap. And coconut sugar is made from the sap of coconut blossoms of the coconut tree. For coconut sugar, the sap is used to create a syrup or honey-like substance, which is then dried. While I do not encourage indulging in any sweetener too frequently, pure maple syrup and coconut sugar are my top two choices. One of my favorite things about this recipe is the ease it offers in allowing you to switch out the nut butter and berry components to whatever suits you. With food allergies looming, it’s nice to be able to know your recipe will turn out tasty even if you say, switch out the peanut butter for sunflower butter, or another nut butter. But the very best thing of all about this Oatmeal Berry Chocolate Chip Cookies recipe is that everybody loves them. After all, what’s the point in baking healthy cookies if nobody wants to eat them? This recipe is barrier-breaking. When you take a batch of these to share at the office, picnic or holiday gathering, no one will care that they’re plant-based vegan cookies. The only thing that will matter is how fabulous they taste and whether there are enough for seconds and thirds. So, you’d better double the batch and make plenty to share! That thought makes me feel amazing inside. So, be sure to Pin this recipe for safe keeping and to keep it handy to share with your cookie-loving friends. Yes, they WILL ask. 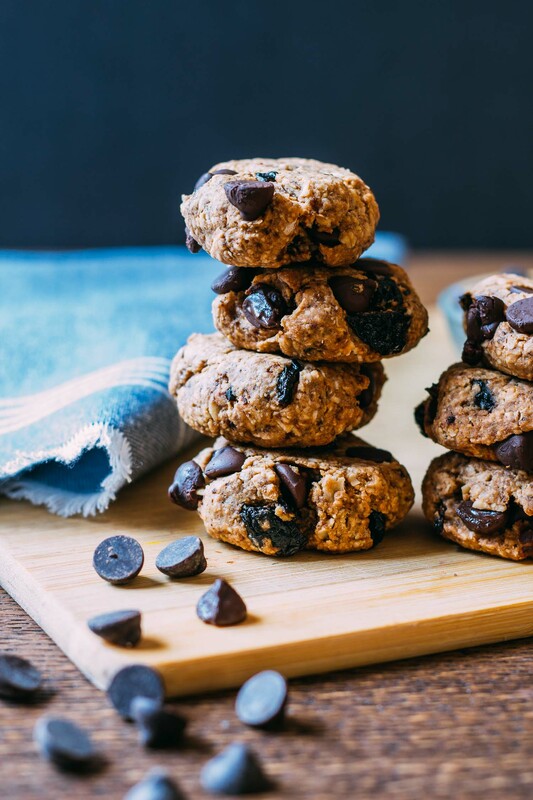 Once they’ve tasted these fresh baked HEALTHY cookies, they will be asking you for your recipe! 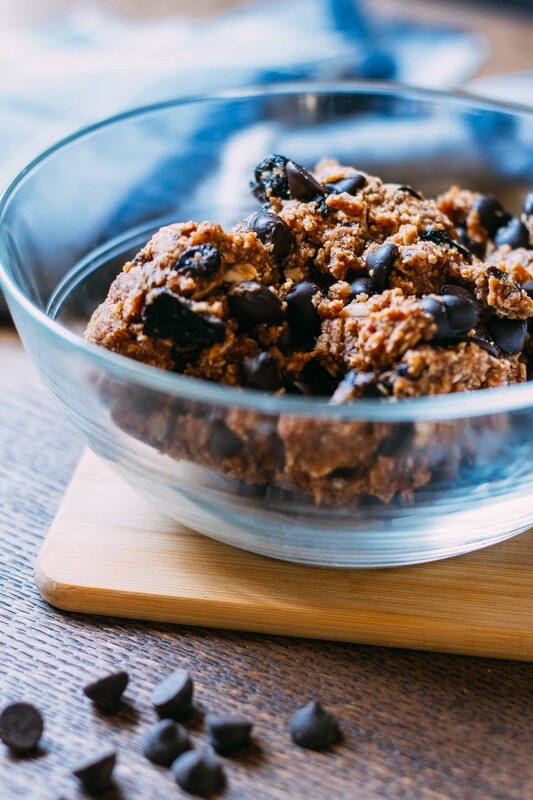 This recipe makes 12 plant-based vegan, gluten-free, peanut butter oatmeal cookies with chocolate chips and berries. No one will be able to resist these homemade Oatmeal Berry Chocolate Chip Cookies! And no one will know they’re plant-based, gluten-free and vegan unless you tell them. 1/4 cup of nut butter, your preference - I used this awesome organic peanut butter. 1/4 cup of vegan chocolate chips - I like this brand. Preheat the oven to 350º Fahrenheit and line a cookie sheet with parchment paper. Now mix the egg replacer by combining the tablespoon of ground flax seed meal and water. Set aside or chill to allow it to gel up a bit while completing other tasks. In a medium-size bowl, combine the remaining wet ingredients and the coconut sugar. Now mix the dry ingredients in a small bowl. Next, pour the egg replacer into the other wet ingredients and stir. Next, pour the dry ingredients into wet ingredients stirring everything together until thoroughly combined. Now scoop tablespoon-size portions of the dough into ball shapes and place on the parchment-lined cookie sheet. Cookies may be left as they are for a sweet bite with a soft center. For a crispier, traditional cookie shape, gently press the rounded balls of dough flat. Bake for about 10 minutes or until very lightly browned. 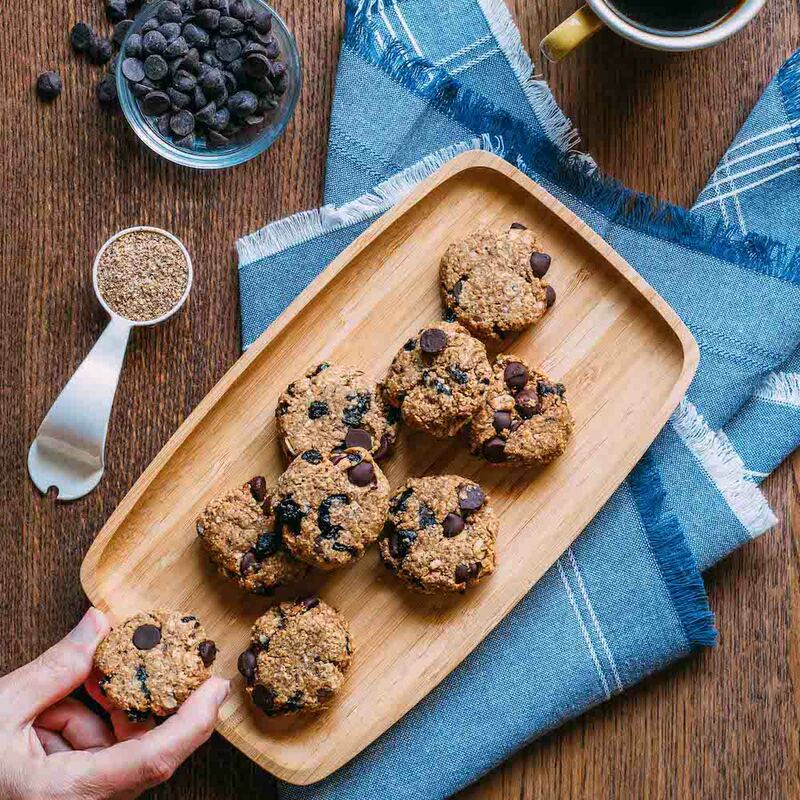 Enjoy with a tall glass of plant-based milk and feel 100% smart about indulging in a sweet treat of healthy homemade Oatmeal Berry Chocolate Chip Cookies. 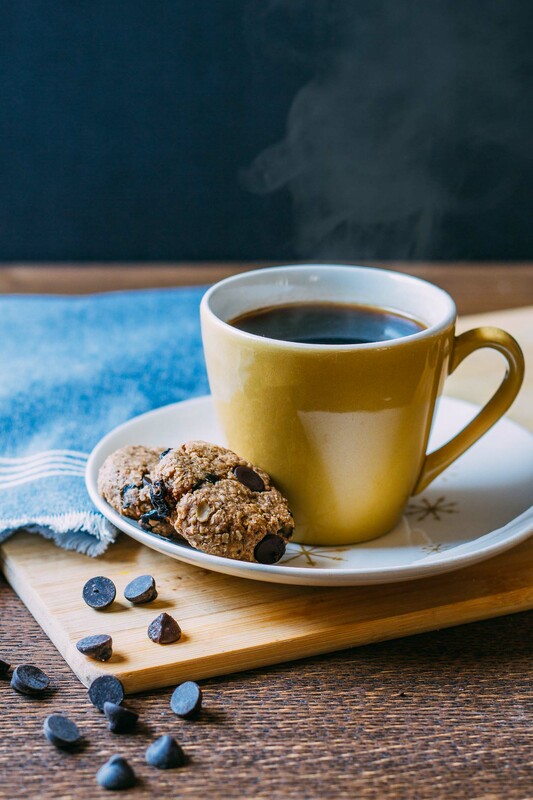 These little cookies taste terrific alongside a strong cup of coffee or tea. 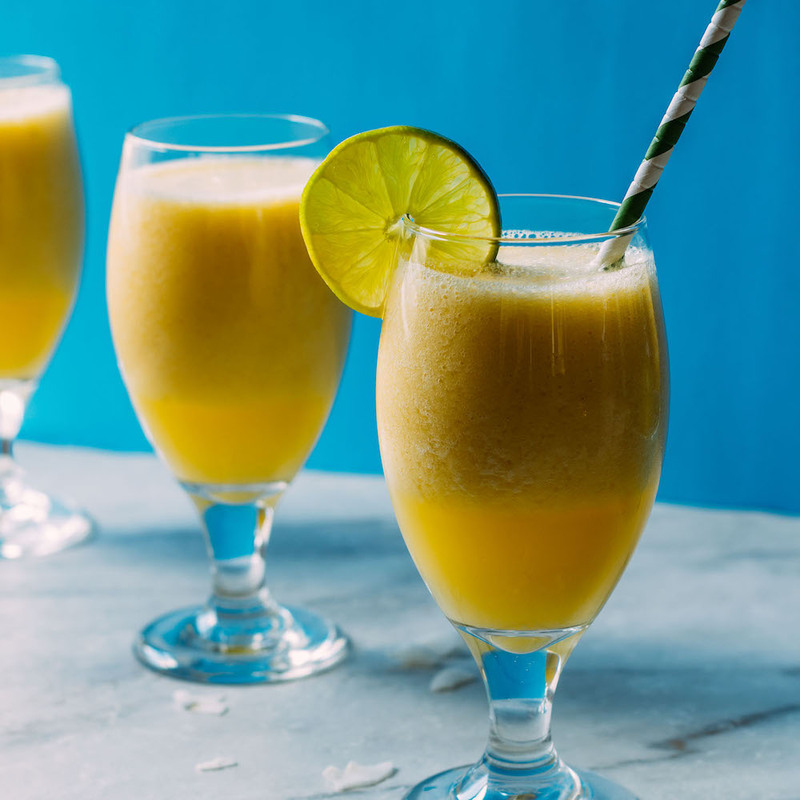 You can quickly make oat flour for this recipe by placing about one cup of oats in a food processor and grinding the oats down to a fine powder.